Pixi Beauty - Mini Haul, First Impressions and Thoughts!!! 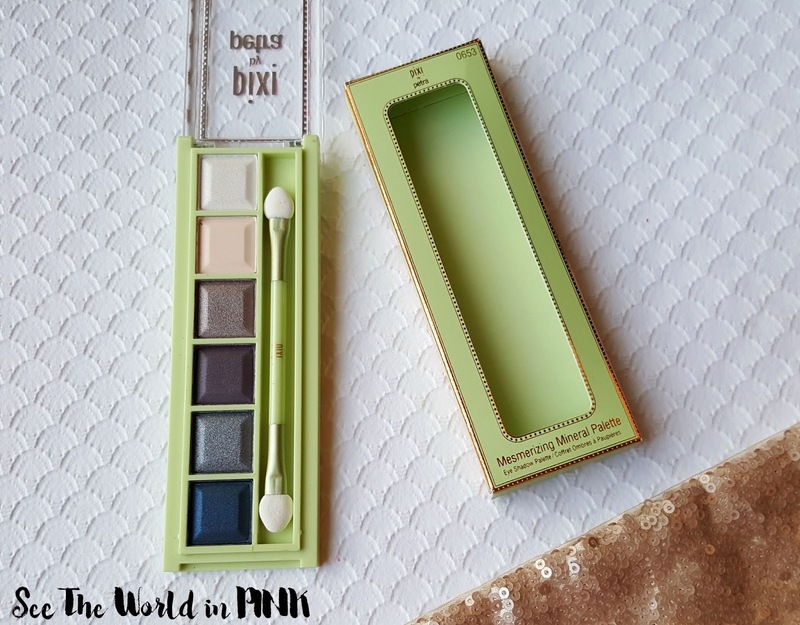 I was really excited last month when I found out last month that Pixi Beauty was available in Canada - exclusively sold at Shopper's Drug Mart! Pixi Beauty was created by Petra Strand - who has over 20 years experience as a makeup artist and product developer. All Pixi products are infused with botanicals and beneficial ingredients that are meant to create a natural, radiant, "just had a good night's sleep look"! I went to Shopper's Drug Mart right away and picked up a few products from the brand to test out! Pixi Beauty Mesmerizing Mineral Palette in "Silver Sky" ~ $16.00 CAN. Six silky, coordinated, must-have shades to use together or solo plus a double-ended sponge applicator for fast & fuss-free application. This palette isn't normally colours that I normally reach for, but I was really craving a new, smoky eye palette! The shadows are described as a mineral formula that reflects light away from imperfections, while gemstone-inspired tones enhance natural eye beauty. 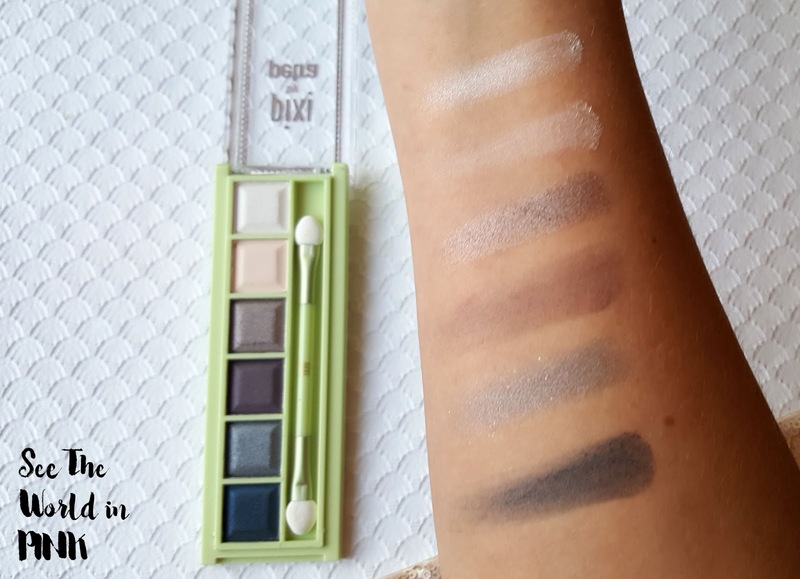 The shadows were really smooth and soft, but I have to say that the swatches were really lackluster to me! They offered next to nothing for pigmentation and the colours did not come out looking true to the shades in the palette. I was quite excited to try this palette, and after seeing this swatched I just don't see myself reaching for this! I have an honest obsession with face mists; there is no hiding that! This mist can be used both in the morning or evening, and this mist is formulated with black oat, provitamin A, and linoleic acid to make this mist the perfect layer before serum or makeup! I personally don't use mists as makeup primers, I mostly use them pre-serum morning or evening and as refreshers during the day if needed. I like the milky formula of this mist and it is a little different than the other mists I have! I thought this was really hydrating on my skin and really added to overall hydration and helped my dry skin! I really liked this and it makes me want to run out and try their other mists - they have a few other options including glow mist, vitamin wakeup mist, etc! This is a colour correcting concealer that comes in peach for lighter skin tones and apricot for darker skin tones. This shade is supposed to be the ultimate concealer for under the eyes - it will get rid of any darkness and blur lines. First, I will say that I was quite surprised by how small the pot is - you can fit the smallest brush in here and that's it. This formula was also so thick I couldn't do anything with it! I had every intention of showing this on my under eye, but this did not blend out and all and just ended up looking thick and goopy with the smallest amount of product. Not a win in my opinion! Pixi Beauty Glow Tonic ~ $20.00 CAN. 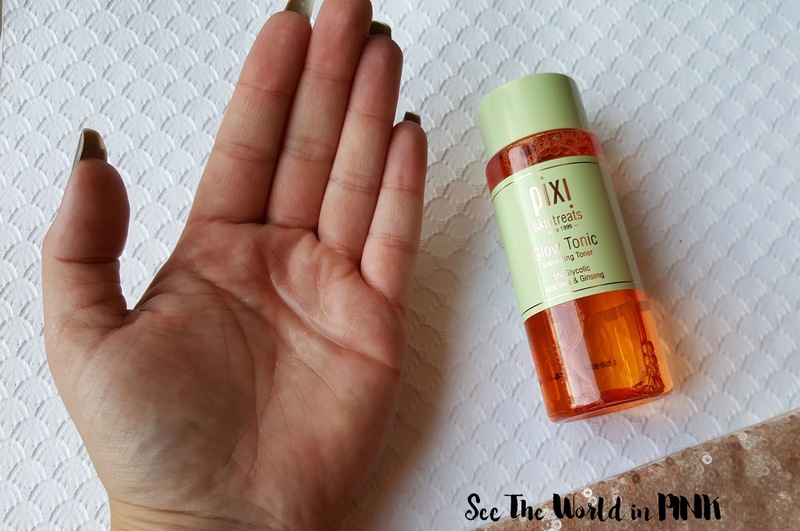 The Pixi Glow Tonic 100ml miracle working toner helps brighten the complexion resulting in a healthier glow. 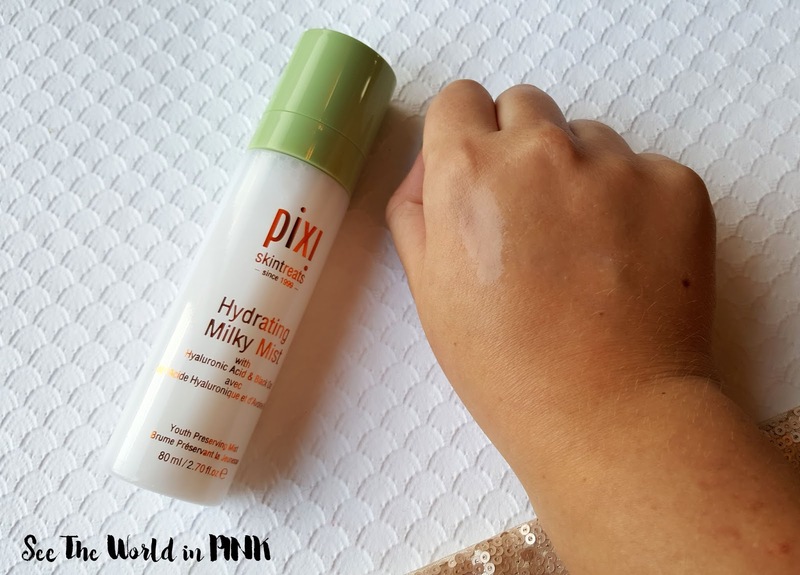 This is the product that Pixi Beauty is famous for! I have tried a sample of this product before, and I am happy to try it again. This contains 5% glycolic acid to exfoliate and brighten the skin. I do like that this is alcohol free and is meant to be gentle on all skin types. I did like this toner and noticed an improvement in the look of my skin after a few uses. I tend not to like over-exfoliating my skin, so this is a toner that I would only use a couple of days per week, while using a more moisturizing formula on the other days! First impressions though, I am happy with it! 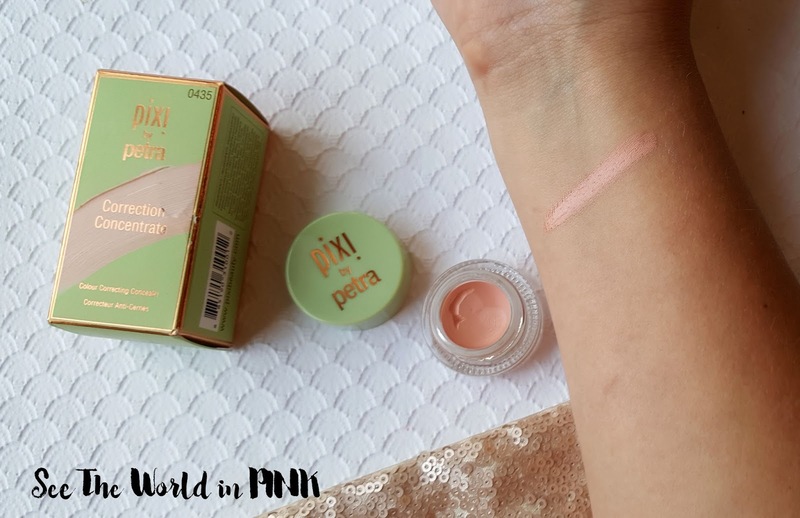 Overall, my thoughts on some of the Pixi Beauty products are a little mixed! I am always happy to see brands expand in to Canada and give us more options, especially in the drugstore range. These do tend to be a little higher priced for the drugstore (sort of equivalent to Loreal or Physician's Formula price), which is fine by me if they deliver on quality! I wasn't thrilled by the 2 makeup products myself, but maybe another palette shade range is more pigmented than the one I tried, and the concealer is really well reviewed, even though I didn't like it. I would still consider trying different makeup products from Pixi but may be more apprehensive about what I try! I was quite happy with the skincare products I tried! I LOVED the Milky Mist and I was happy with the Glow Tonic! I would not hesitate to pick up more skincare products at all! 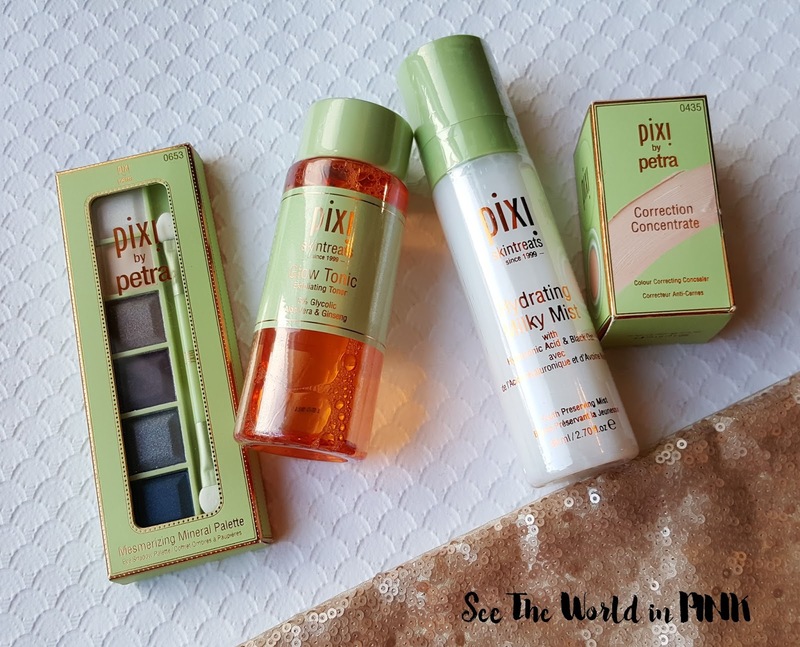 Have you tried any Pixi Beauty products yet? What did you think of them? Yes, I think I will stick with their skincare! Oh this is great! Which location did you go to? I want to try the Glow Tonic for sure. Leonie, I was down in the SE - the Seton store! I assume most malls will have everything too as they are bigger stores! Ya it's certainly not the best drugstore prices! I will be selective with what I get, but will try more of their mists because they are awesome!